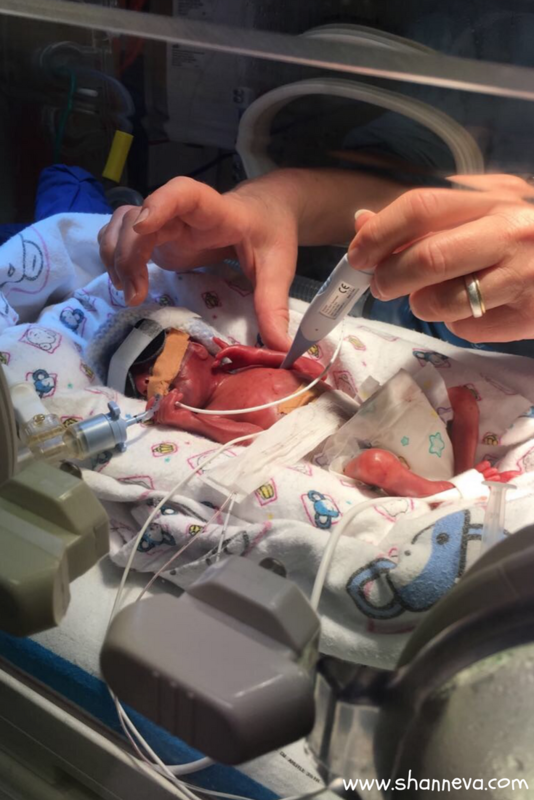 The NICU experience can be very isolating. It’s a very emotional time, and can put a strain on any relationship. However, that support from family and friends is the most critical part of enduring a situation like this. 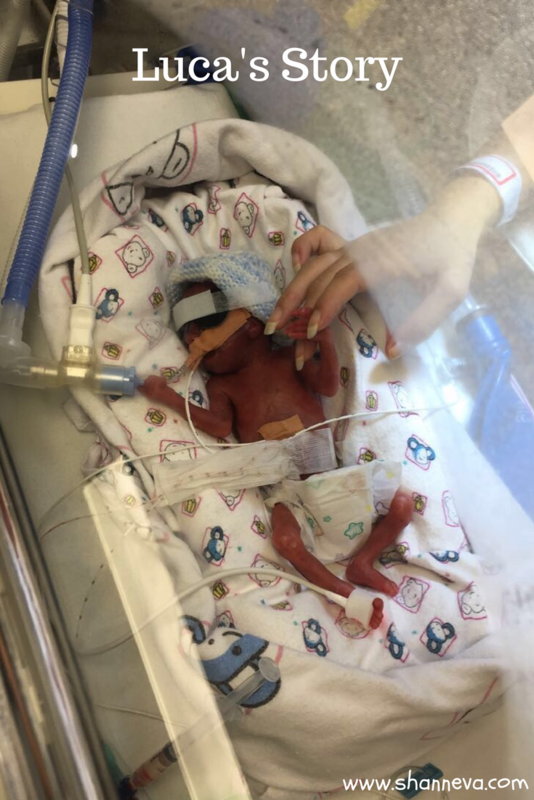 It can be hard to know what to say or do for someone who has a baby fighting for survival in the NICU. As the parent, it can be hard to ask for support and help. Just being there makes a huge difference. Having a shoulder to cry on, an ear to listen, or even just someone to sit with you in silence makes those days a little more bearable. Lia, a preemie mom, knows how critical support can be. She was so lucky and thankful for her family and partner. I am thankful that she is sharing her story with us today. Please meet Luca, as told by Lia. 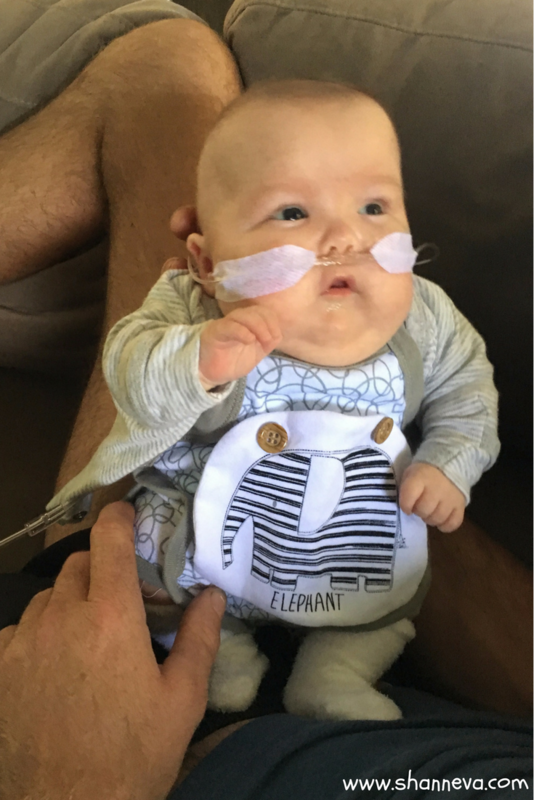 Luca was born 23 weeks, 2 days on November 21, 2016, weighing 416 grams. He was so small like a can of Coke. We were given 48 hours critical watch, as they believed our baby would not survive past this time. He was diagnosed with low birth weight, chronic lung disease, PDA ligation and several other severe conditions due to his gestation. We had heart surgery, PDA ligation at 2 weeks old, weighing only 500 grams. Luca was intubated and extubated a number of times. He also had bilateral hernia repair surgery. 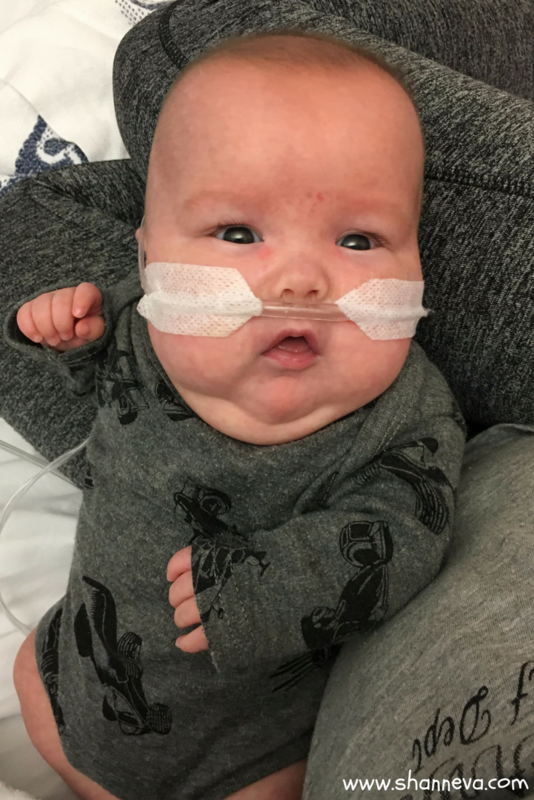 We stayed in the NICU for 152 days, which was 5 months. The hardest part was watching my baby go through so much, and being told he wouldn’t make it. Doctors not having any faith in their system to even pull him through. Also, being told he needed heart surgery at 2 weeks old. The risks that were involved, and then having his lungs collapse so many times. We were so close to losing him due him not breathing with the ventilation. Being told some days I couldn’t touch him as he was too fragile. Our first hold was 1 month after he was born. We celebrated every milestone from 1 kg party to due date party and hitting 100 days old. This was my first pregnancy with IVF as I can not fall pregnant. The cause of my premature labour was a subclinical infection behind my placenta. I had bleeding up until 18 weeks of my pregnancy, was extremely ill, was in and out of hospital with scares that I was miscarrying. I had my 20 week scan, and I was told everything was OK. Two weeks later, I was having what I thought was Braxton hicks contractions, when, in fact, I was 3 cm dilated. My water broke at 22 weeks, 5 days, but my cervix closed back up again, and I didn’t birth him until 5 days later. The hospital I was at was not going to revive him if he came, so my doctor fought to have me transferred to another hospital. Even they didn’t want to take me at such early gestation. I only received one shot of steroids for my babies lungs, and that was day of him coming out. My baby is 1 month corrected, and we got to go home on our 152 day. He is on sub nasal oxygen, as his lungs are still very undeveloped with chronic lung disease. Luca did not have any brain bleeds. His eyes are progressing but still following up on them, and he has failed both hearing tests but being reviewed. We have follow-up appointments with eyes, ears, growth specialist and respiratory team. This journey brought our family closer together. I had so much support behind me and my partner. He was absolutely amazing. My advice is stay positive no matter what information is thrown at you. Live this day-to-day, take some time to break down and cry or just have a day at home or do something you would have done prior to all this. It soothes the soul. Ask lots of questions. No questions are dismissed. Write down everything from medication they are on to weight days or milestones. Seek support through other mums and families going through it. They are the best to help understand. Also, build relationships with the nurses and doctors. It really helps to have a strong bond with the people caring for your babies. Such great advice from Lia, and Luca is absolutely precious. He is such a fighter, and I look forward to bringing you updates in the future. Please leave any supportive comments or questions for Lia and Luca below. What a beautiful little boy you have Lia! Such an amazing story, he sounds like quite the fighter! What an incredible story of fighting the odds. Luca is beautiful. Blessings to you all! What an amazing story. It must be such a stressful experience to keep being told that your baby probably won’t make it. I am so glad that Doctor fought for you to be transferred to another hospital. Wishing you and your little guy all the best for the future! What a beautiful, sweet face <3 My goodness… the size of a can of coke?! That made my heart stand still. I can't imagine. The hands of a full-grown human look enormous next to Luca, eh? So glad to hear Luca is doing so much better, Lia, and that he has survived all odds!! What a beautiful boy and amazing story! thanks for sharing! What a precious little man. He is a fighter and so are you, mama! Thanks for sharing your story, Lia (and thanks for giving her the platform, Shann!). Wonderful story of perseverance, Lia. Luca is beautiful and we wish you all the best. What an incredible story. I’ll be praying for baby Luca and his family! What a little fighter! I am so glad that you had so much support as I can only imagine how hard it all is. Luca is such a handsome little man. Sending prayers for continued strength and lots of hugs. Oh, how precious is he? What a sweet little guy. So glad to hear he’s a NICU graduate and doing well!